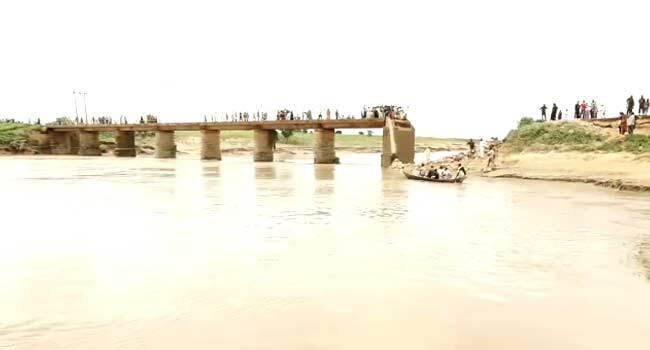 About 15 people have been killed and a bridge collapsed following a flood disaster in Niger State. The incident which occurred on Wednesday has forced many residents out of their homes and brought activities in the area to a halt. The State Governor, Abubakar Bello, alongside other government officials have, however, visited the areas for proper inspection and also appealed to the Federal Government to help in tackling the menace. The Nigeria Hydrological Services Agency (NIHSA) had issued an alert on the flooding and asked residents to relocate. The agency warned that both the Kainji and Jebba dams were already spilling water downstream while the level of water in Lokoja, the Kogi State capital had exceeded the corresponding value in 2012.